Over the past few years, a large quantity of the population has started taking their health far more serious. A lot of these individuals have started working out and exercising regularly. Of course, it is essential to realize that each consumer’s goals will vary substantially. While some people will want to slim down, others will be interested in bulking up and developing more muscle. If you’re interested in building lean muscle, you’ll want to follow the tips below to speed up your progress. A lot of people hit the gym once or twice a week. This is good, if you wish to maintain your current physique. However, if your goal is to build even more muscle, you’re going to need to step up your workouts. Try hitting the gym at least four or even five times a week. The duration of the sessions can be shortened if need be. The increased exposure to your training stimulus will ultimately help you pack on the muscle. Also, be careful of overdoing it. Too much exercise can lead to serious injury and this could force you to stay out of the gym for far too long. Eventually, your muscles will become accustomed to performing the same sets and reps each day. In order to continue progressing towards your goals, you’ll need to change things up frequently. If you’re used to performing sets of 8 to 12 reps, you should consider lowering the reps for a few weeks. Then, increase the reps a few weeks later. The variety will prevent your muscles from becoming accustomed to the workout, while also stimulating muscle growth. One of the first things you will want to do is learn how many calories you need to build your muscles. While many weightlifters and bodybuilders will tend to guess their calorie count, others will want to make sure they get the precise amount. The best way to do this is by multiplying your weight in pounds by 20. For example, if you weigh 200 pounds, you will times that amount by 20, which will equal 4,000. So, you will need to consume a total of 4,000 calories daily, just to build your muscle mass. If you are not accustomed to consuming such a large quantity of calories, you will probably be shocked the required daily caloric intake. If you find it difficult to add muscle mass or you just want to jumpstart the process, you can add a supplement to your daily diet. Your best option will be muscle enhancers that include protein, glutamine and creatine. All of these ingredients are required to gain lean muscle mass. You will find an array of different brands on the market. However, you must be sure to pick a reputable brand that offers the necessities for all types of people. So make sure to do your research and only trust reputable sources! Believe it or not, your time outside of the gym will be just as important as your time at the gym. During your down time, you should allow your body to rest, repair and grow. Make sure your diet allows you to obtain the nutrition that your body needs to grow. Simultaneously, it is vital to get a sufficient amount of sleep each and every night. Eight to nine hours of sleep per night should be plenty. Also, eliminate your stress. You’ll be surprised how much these small actions will help in your quest to improve your body’s composition. 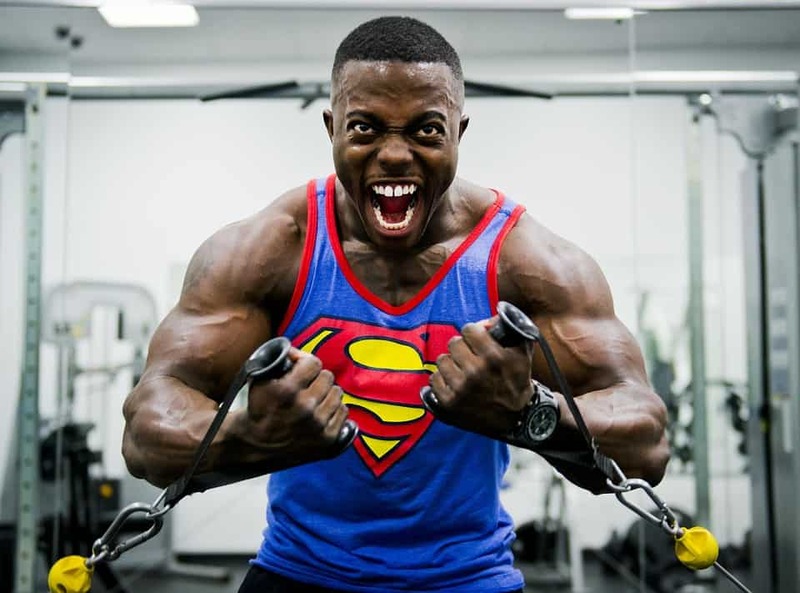 People who visit gym twice a week – the most happy people in the world.